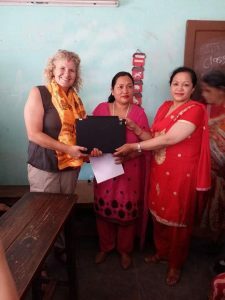 Janine is a professional photographer from Canada and greatly contributed as a photographer and English teacher in the Shree Shradha Women School. 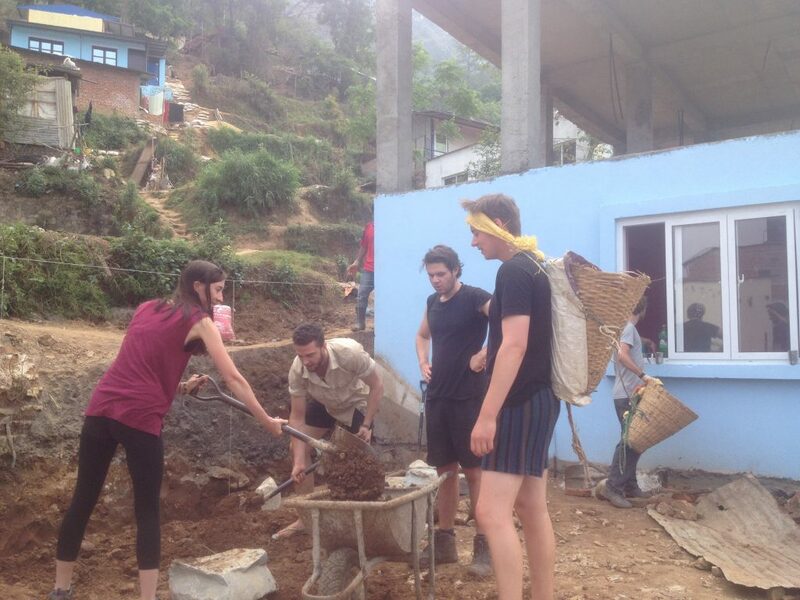 In Ganesh’s own words: “Janine is really a genuine volunteer girl”. 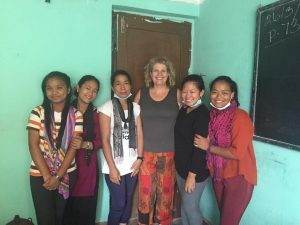 Janine did a great job in teaching the basics of the English language to our female students and was very kind and patient. 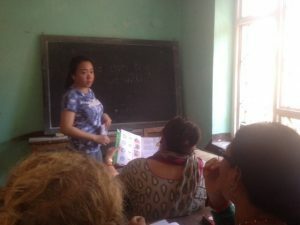 Janine also took amazing pictures of the students from Shree Shradha Women School! This is a group picture of grade IV. 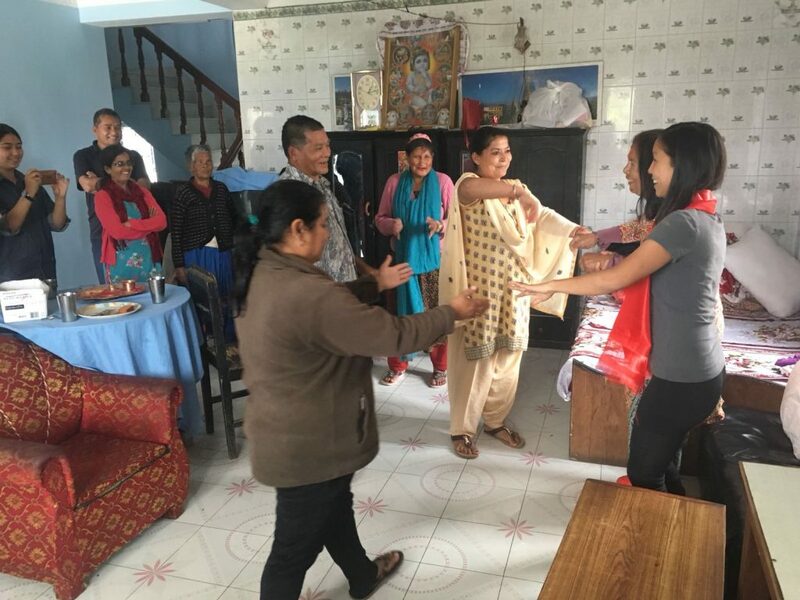 Moreover, Janine’s pictures caught many great moments in our recent achievements and many great people that support our efforts for a better future for disadvantaged communities in Nepal. 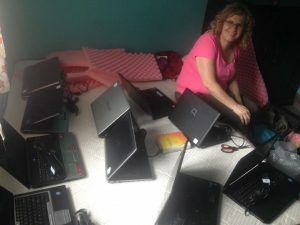 Janine took this very nice picture of the recent computer donations to the Shree Mahendrodaya Secondary School made possible by our volunteer Sherie. 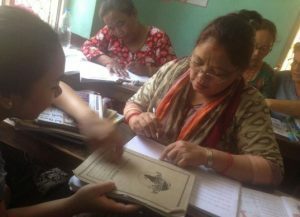 She also documented the great moment when the first batch of students from the Shre Shradha Women School passed the SEE in 2018. 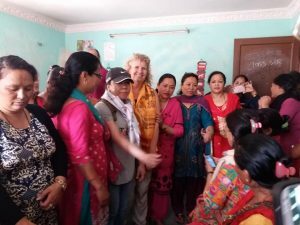 In addition, Janine visited the Nepal Dwarfs Association and took pictures for their new website. 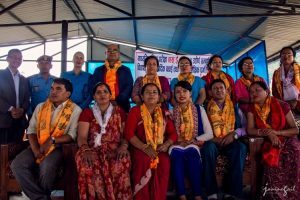 She took beautiful pictures of the Nepal Dwarfs Association working committee members as well as general members. 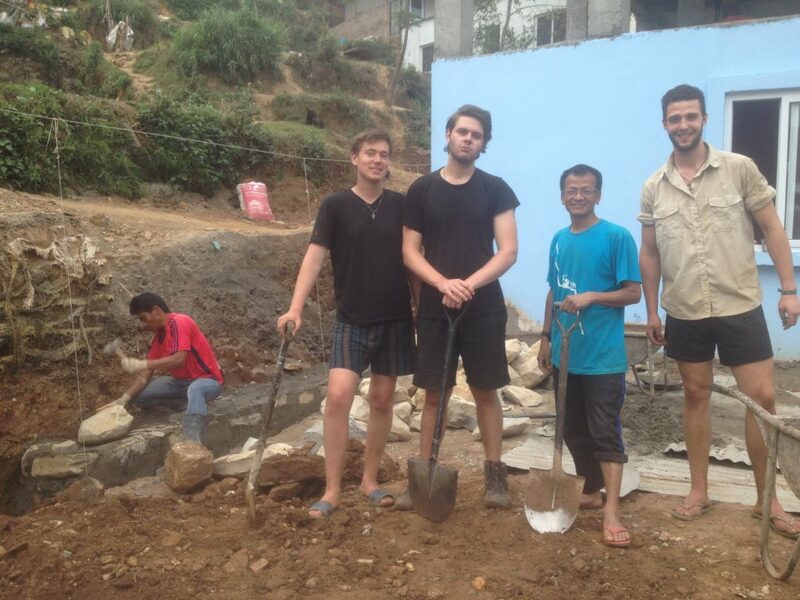 This is a group picture of the Nepal Dwarfs Association. 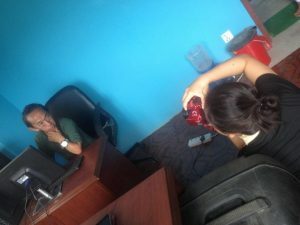 Janine trying to take the picture of the president of Dwarf Association (नेपाल होचा पुड्का संघ) Mr. Nirmal. An amazing picture of Mr. Nirmal taken by Ms. Janine.  Ms. Janine trying to take the picture of the secretary of the Dwarf Association Mr. Lekh. 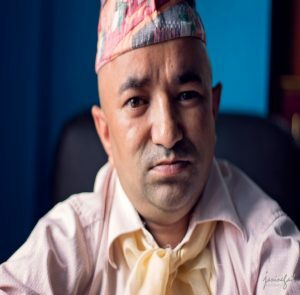 Mr. Lekh , secretary of the secretary of the Nepal Dwarfs Association, through the lens of Janine. 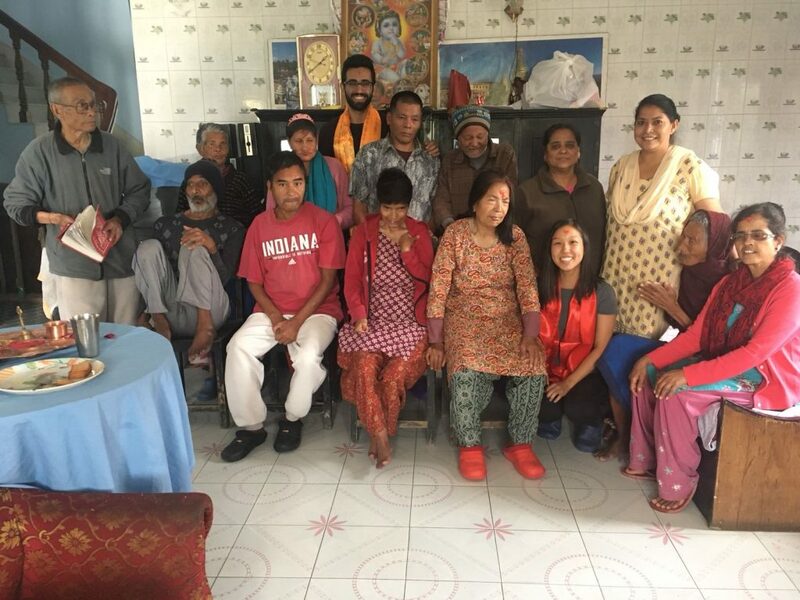 Mr. Nirmal, the president of the Nepal Dwarfs association, is confident that these pictures taken by Janine will help to promote their website in support of the entire dwarf community of Nepal. Many thanks to you, Janine, and your ability to see the beauty in people. 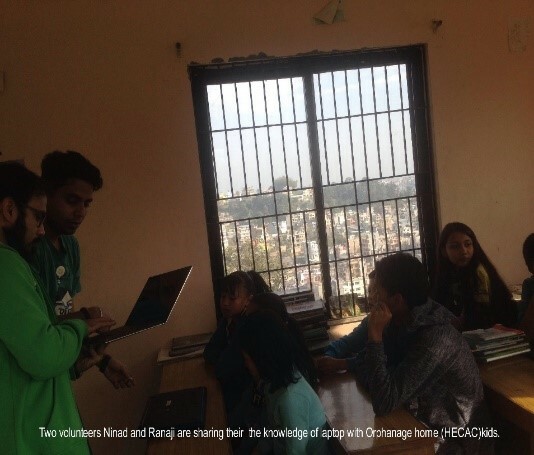 Our Volunteers Ninad and Ranaji visited the Orphanage Home (HECAC) in the Tarakeswor Municipality, Kathmandu, Nepal. 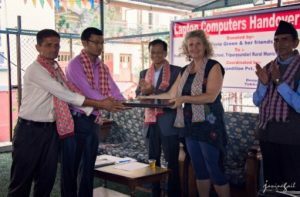 They gave classes for kids with the objectives of teaching basic knowledge about computers, email and the Internet. 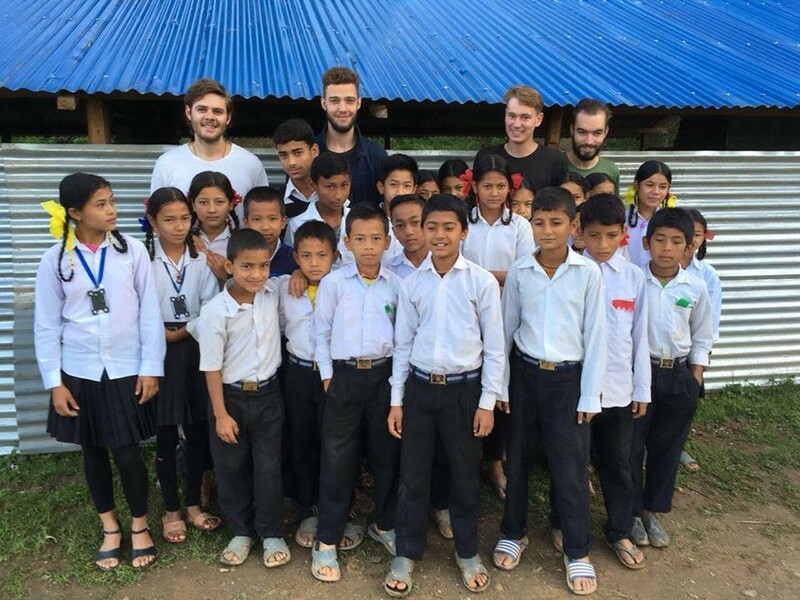 The kids in the orphanage home truly enjoyed this treat and the time that was invested in their education. Ninad and Ranaji also played with the kids and took pictures of joyfully jumping kids. 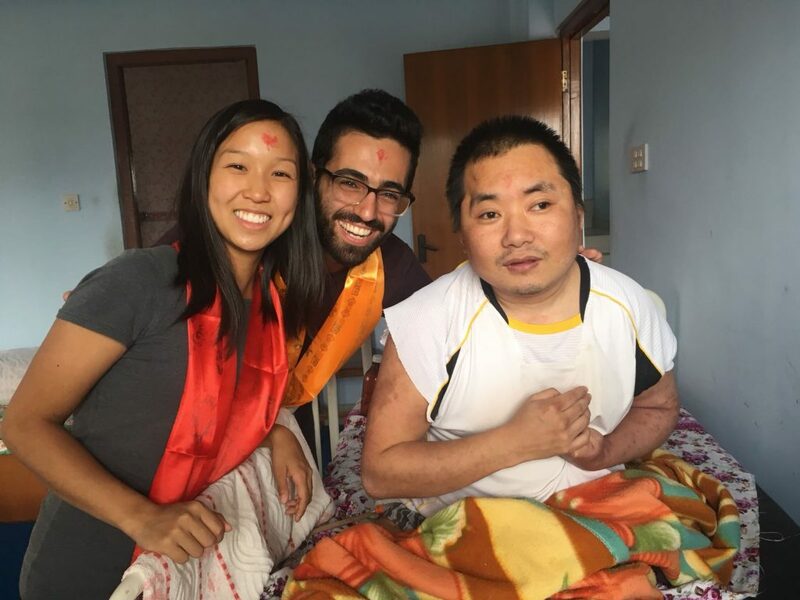 Ninad and Ranaji, we thank you for your kindness! 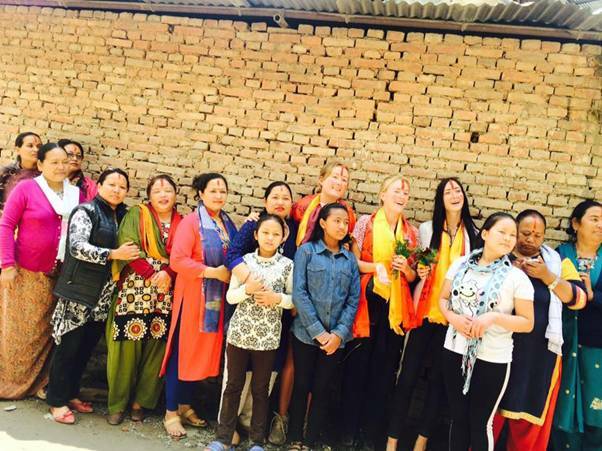 Do you want to join our program in Nepal? 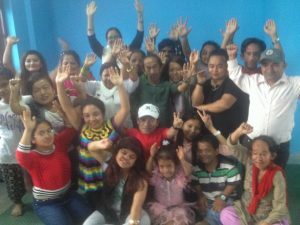 Join as a volunteer and teach in an orphanage computer lessons then – contact us! 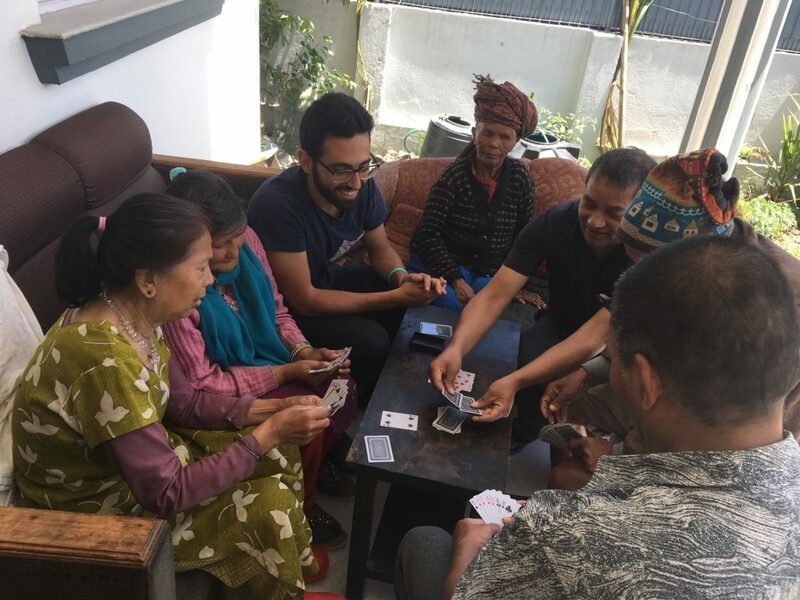 Free Volunteering Nepal will help you to find the right place for you in Nepal – that your work as Volunteer will have an real impact on the live of the Nepali People.